This stack of drawers on wheels accompanies me to craft shows and art demonstrations. 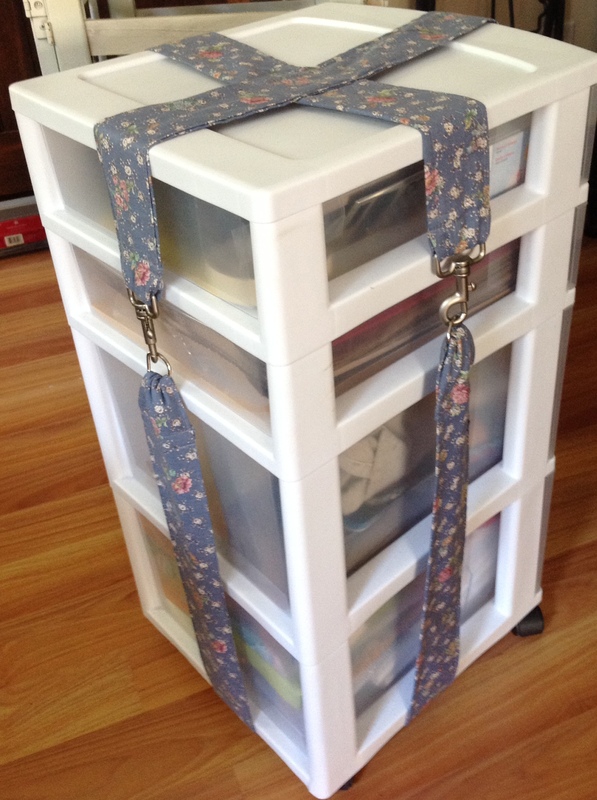 The new straps serve two purposes; they keep the drawers in place and create a carrying handle. The virgin voyage is this evening. Not all creativity in the studio is artistic. 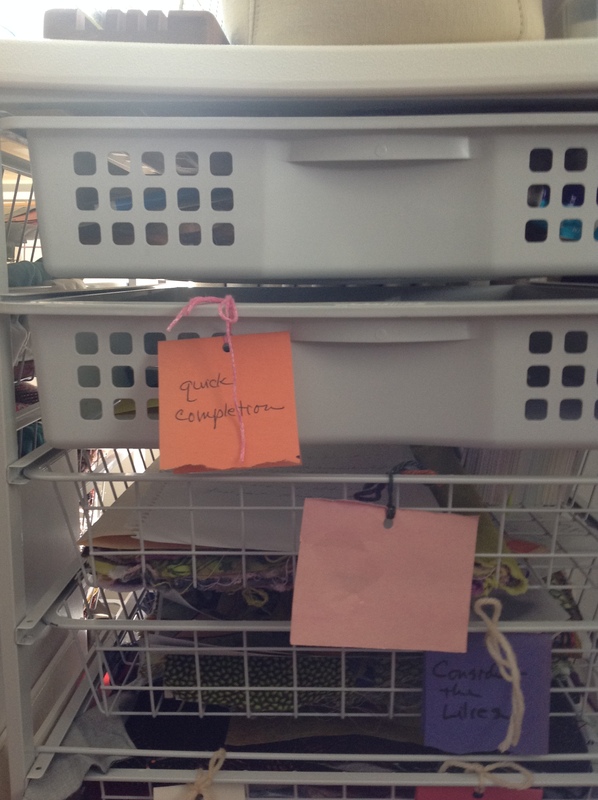 There is a new designation for this production drawer: quick completion. Projects that need an obvious and speedy finish are here for warm up and cool down action in the studio schedule. This entry was posted in Tools of the Studio and tagged Comfort, fabric studio, hand crafted, imagination, process, satisfaction, starting point, unfinished objects by norma17. Bookmark the permalink.